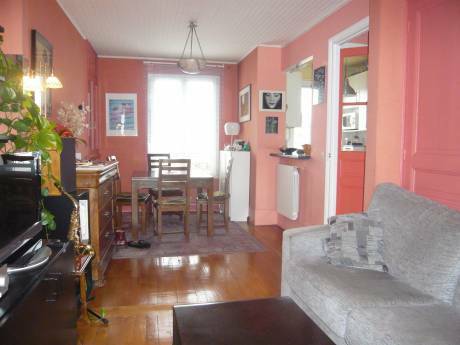 Fully equiped, with TV, computer (ADSL), DVD player, games, toys for children, two sofas for relaxing after long walks through Paris. 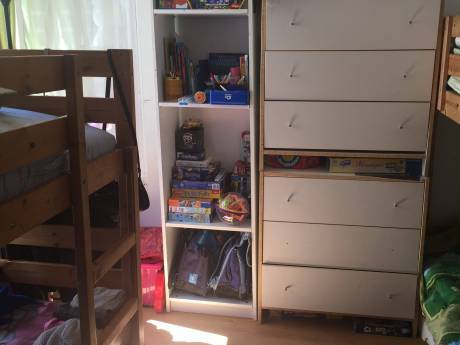 One is the adult bedroom and one is for two children. Light from the sky in the corridor and the living room give you more and more brightness. People feel good here and we are sure you'll feel the same. Mathis is 8, he loves Playmobiles, cars, reading and travelling, he went to many far countries (Cuba, Guadeloupe, Mauritius, China...). We all enjoy visiting new countries and meeting new people, I want my child to be open to others. For week-ends, I would be travelling with another adult, not with my child (usually). In the summer we usually are 2 adults and 2 boys of 8 and 9 as I'm writing. We are looking for European cities for New Year, beginning of march and week-ends, maybe NYC or something sunny for April/May and a Mediterranean country in the summer. The building is quiet, clean, with friendly families, seniors, and young people. The lift stops on the 6th floor only (we live on the 7th and last floor). When you arrive from both airports of Paris, it's direct to Denfert Rochereau (bus or metro), then you discover the pedestrian street "rue Daguerre", with many shops, food, fashion, craftshops. . . very "Frenchy". Also, you'll find many traditionnal restaurants, Asian restaurants, Indian or others in the area, as well as cafes. About at a ten minutes walk there is the theaters area, "la Gaité", after you can go and walk in Montparnasse and have a look from the 26th floor of the tower, go shopping and visit the Jardin Atlantique (a refreshing garden with exotic plantations). The metro is direct to the Eiffel Tower, to Chatelet/Beaubourg and more attractive areas of the capital. We will give you all maps and guides. . .